Sumatra’s peat swamp forests not only provide habitat for endangered species such as the Sumatran tiger, they are also of critical importance in mitigating climate change. The clearing and draining of peatlands is the key reason why Indonesia is the world’s third largest GHG emitter. Helaas werkt dit bestand momenteel niet, u kunt het bestand downloaden op de website van Greenpeace International, klik hier. 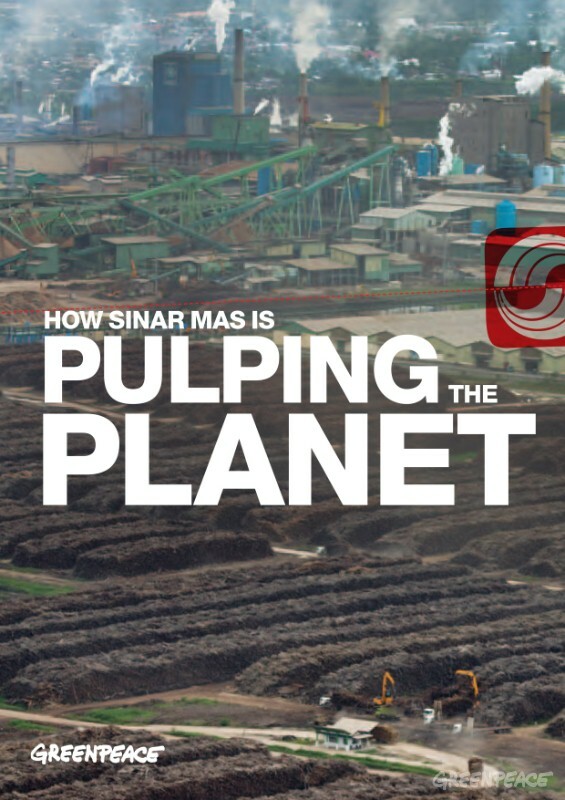 Cover “How Sinar Mas is pulping the planet”.